Do you cringe every time you look into your bathroom mirror to brush your teeth? For years you’ve wanted to have a straighter smile that you could be proud to show off, but at your age you’re thinking that it’s too late to seek orthodontic treatment. “Braces are for kids.” You think to yourself, wishing that your parents had pursued treatment for you. Just because orthodontic treatment is common among younger patients doesn’t mean you shouldn’t reap the benefits of straighter teeth. With the help of metal braces or Invisalign in Sapulpa, you don’t have to live with crooked teeth or a bad bite any longer. As it turns out, more adults are seeing orthodontic treatment today than they were many years ago. This is because adults who had treatments done when they were kids failed to wear their retainers enough. This caused their teeth to shift back to their crooked position. As a result, many are turning back to orthodontics as adults. Whether they want to get their teeth straightened via traditional braces (which they are more likely to be familiar with) or Invisalign in Sapulpa, we can provide it. Now it’s easier to get treatment done more subtly without making dramatic chances to your appearance. Your orthodontist offers both traditional braces and Invisalign to make your teeth straight again, or for the first time. If you’re an adult who had braces previously, you’re probably already familiar with what they entail. However, for the younger readers, here’s a brief breakdown of what you can expect from braces. Traditional braces consist of a series of metal brackets held together by an archwire and dental cement. These brackets are designed to be tightened every few weeks or so and apply pressure to your teeth. Once enough adjustments have been made, your teeth will have shifted into a healthier straighter position, improving your bite and your overall appearance. Your orthodontist in Sapulpa also offers Invisalign clear aligners to straighten teeth. These clear aligners are ideal for both teens and adults trying to transform their smile. Unlike braces, clear aligners are removable, making basic tasks like eating and brushing far easier. They’re also ideal for patients trying to maintain their appearance during treatment. While Invisalign is typically more reserved for mild and moderate cases of misalignment, they can still be incredibly effective. The treatment time is also shorter than what traditional braces require, so you don’t have to get braces if your case doesn’t require it. In fact, the average time is between 12 and 18 months, but this depends on the severity of your misalignment. 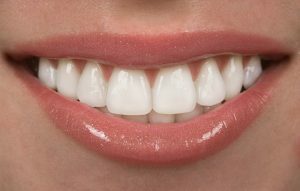 Regardless of what choice you make, you don’t have to miss out on straighter teeth because of your age. Schedule a free consultation with your dentist in Sapulpa to learn more! Dr. Parnam Mohanna earned his Doctor of Dental Surgery degree, taught at the University of Oklahoma’s clinic, and completed advanced training on a variety of topics in dentistry. He offers both braces and Invisalign in Sapulpa to help patients gain a better and healthier smile. To learn more about his orthodontic treatments and practice, contact him at (918) 216-1000 or visit his website.